Previously, in our series on developing your personal brand, we discussed three ways to pursue excellence through learning. I’ve always had the habit of “hunting” job at events. It always made me feel sleazy so I stopping going to hangouts. I will try again with a new mindset. Can we make a New England or Northeastern US OA meet up group?! Or, can I make one? I’ve started doing weekly zoo sketches at the Stone Zoo in Stoneham, MA. It would be so cool to hangout with more people. Are you a lifetime learner? Are you constantly seeking new ways to improve? I love all the new stuff there is to learn here. Sometimes, it’s almost too much, and I need to prioritize. I often wish I didn’t need to sleep, but sleeping is so awesome. The sheer amount of stuff I’ve learn from my personal project alone is insane, and I think that’s really cool. Btw, if you ever need to know about wrist watches in 1911, I’m your girl. So for example: you could call it “OA New England Meet Ups” and then explain in the description that it’s an informal gathering for OA students 😀 I hope that helps – it would be so awesome if you did that! WAIT, wrist watches in 1911? That’s so interesting! What led to you learning so much about that topic? Here’s the Northeastern States meet up group! Yay! Well, I was looking into doing streaming sessions. If I figure it out, you should stop by. We can all hang out and talk about animals and wrist watches. …and tea. Tea is awesome. With puppets, I have to be a human person at some point. Puppeteers tend to be very relationship driven, I think. I’ve had to strengthen my extraverted side. I’ve thought about trying to create some kind of event or group for puppets here in Pensacola, but it just never seemed very feasible. However, I have gone out to festivals and workshops and I’ve met some awesome people that I keep in contact with regularly. Puppet workshops are so great. So crazy and fun. Local theater groups are a great way to meet people. Can’t wait for the Stephen Silver episode! Haha, yeah it’s such a great term! That’s interesting, that’s not something I had considered about puppeteers – is it a very social community? Puppet workshops sound like a ton of fun! Are those a regular occurrence? They are pretty social. I mean, there are all types, just like any other group. The very nature of puppetry is (for lack of a less punny term) hands on, so they have to be human people out of necessity. They have to be comfortable working very close, physically and mentally. Especially when there are multiple people working on the same puppet. You could think of them as having the same personalities as say, theater or film actors. Workshops are a pretty regular thing. You kinda have to know what to look for. And they are all a little different depending on who is running them and who attends. The one I’m going to in June, Beyond the Sock, is a yearly thing and it’s one-of-a-kind. 🙂 Most of the others like it require an audition. But this one is open to all, if you are willing to pay up. Puppet festivals almost always have a manipulation class for beginners for at least one style of puppetry. (Puppet people are some of the kindest and most generous people I’ve ever met. If you ask them to show you how, they are usually more than happy to do so. They love what they do.) I should post a list of workshops on the Puppet People forum. The Center of Puppetry Arts might have a list too. Oh I see, that’s fascinating! I never considered that, but it makes total sense. I was not aware of all this awesomeness – I think posting a workshop list is a really great idea! And ignore my last question – I just realised you have done this in the past! Yesss! I think the hands on part of it is why I enjoy it so much. There’s something about it that just makes sense. Like sculpture. I enjoy sculpting WAY more than painting. I’ll get the list up as soon as I get a chance. In the meantime, this is cool. Lol! Yeah, I wrote a recap last year on Single No Prospects. I don’t get to go to many because of my job, but, obviously, I LOVED Beyond the Sock. Can’t wait to go again. Also J.D. Hansel from Eleven Point Collar (reference to Kermit’s forever fashion statement) has a few podcast episodes of his experience. He went the year before me and I found those to be very helpful. Much more in-depth than what I wrote as they are daily recaps. You should totally try going to a workshop sometime. They are so fun! I loved this episode, specially because meeting new people is so hard sometimes, and this perspective of “giving yourself” and go out to make conexions for fun can also be related to “The golden theme”: We are all the same. We are all struggling and trying, so taking the step and going out there to meet people and learn together sounds wonderful. Difficult, but everything that’s worth it is difficult! Just now I remembered, that it may not be connected to real life, but a fun way to have something in real life with other artists we meet in the internet (and are continents away!) is come together to make a fanzine and try to print it! For a show we are fans of, or for some theme that interests people. Or we could begin doing our own fanzine with the people we know irl, or posting the call for submissions in art schools and other places. We could get to know other artists, and do artwork we like for a self published little book that at least everyone involved will want a copy of, and printing those in few numbers is quite accesible nowdays. Plus, we could also take those team projects to conventions or other places. Just a thought 😛 The fanzine I’m involved right now has let me know many amazing people! Thank you, I’m so glad this is helpful 😀 That’s so true about the golden theme! Thank you so much for this whole series, it’s been insanely helpful to hear an overview of how to hone your skills as a professional. I’ve been super guilty of focusing too much on technical skill and completely avoiding the extraneous aspects of being a freelancer, so this series has been invaluable. I started out with pretty bad social anxiety as a teenager, but between tabling at conventions and reaching out online, I feel like I’ve made big progress on that front. Just a few years ago meeting people IRL would’ve seemed like the absolute last thing I’d want to do, but now I’m excited about connecting with an artistic community in my area (though with more than a little trepidation.) This episode affirmed the idea that it will ultimately be worth pushing through the anxiety. Can’t wait for the next show!! It’s so cool that you have that opportunity! Good luck. You’ll do great! Are we psychic? MAYBE!? Haha! It’s so great to hear that these lessons are useful. I was at Stephen Silver’s workshop in Scotland earlier this month. I met loads of amazing people (including Stephen), and made a few pro connections. One of which put me in touch with a guy in Stockholm (where I live), who I am meeting at a drink and draw TONIGHT. Next month I’ll be attending the Schoolism event in Stockholm, where I’ll meet Stephen Silver AGAIN, as well as all sorts of other cool folk (Eric Cannete for one). That’s SO much awesome stuff going on for you; go Craig! Sounds like you’re in for a ton of fun! Nooo, no lonely pillow crying – you can do this! I too struggle with talking to people, but you’ve just gotta take little steps. I know what you’re saying. It’s mostly under control, but sometimes it can be crippling. This is a good advice. I’ve been somewhat connected via Facebook to some artists in my area, but it’s really not the same as connecting in person. Gotta work on finding — or making — those opportunities. Great episode! And I’m totally blown away with the meetup.com resource! I’ve been a bit timid with meet ups in my area due to a really bad experience a few years ago…My city is quite small, so everyone knows everyone in the comics circles. Well, someone I was collaborating with decided to burn me quite badly to get ahead :/ So there’s been a bit of anxiety about socializing again in my city because of that. Interesting topic covered, yet I can’t help feeling that it was extremely vaguely covered and that it didn’t give a lot of practical pointers and examples as to what can be accomplished in terms of business through an offline interface. 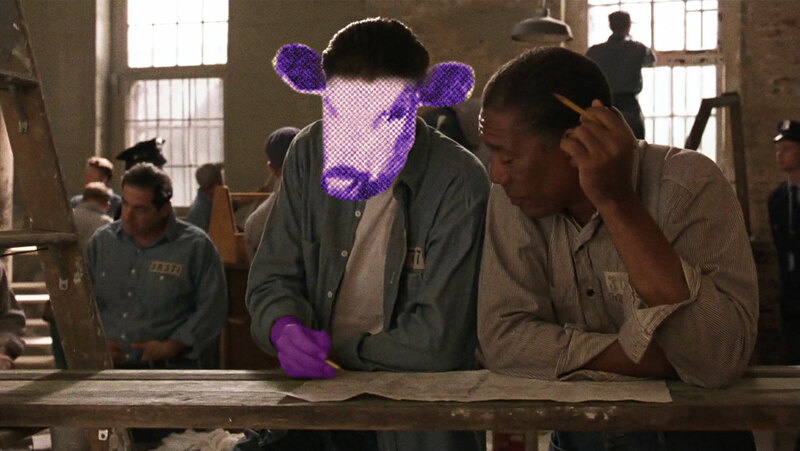 The whole purple cow series has in fact been excessively vague. I wonder if what was discussed through the last 5 videos couldn’t be summed up in a 15 minutes podcast, inserting less frills and anecdotes and adopting a more to the point approach. 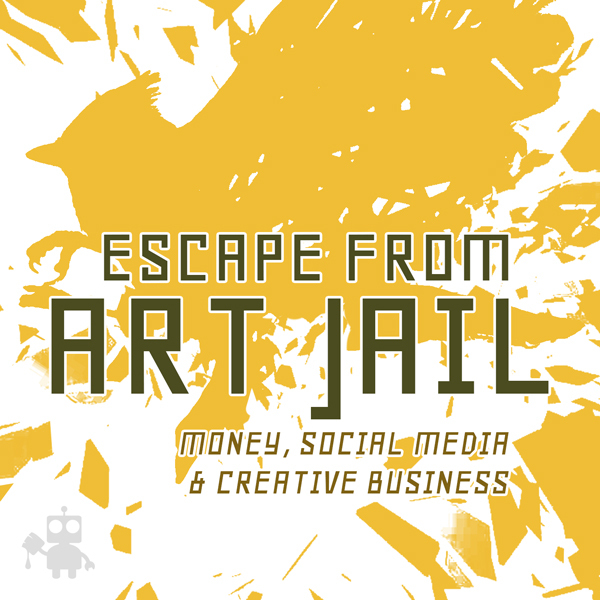 It’s interesting you should say this because many of the things said in this series is common marketing and business practice in many non art related fields. I’ve enjoyed hearing how Chris and Edge are applying it to art. It’s a very tricky thing to do. Also, I think the homework assignments are very practical. If they’re telling you something that you already know or are already doing, then that should only reinforce your choices. You shouldn’t critique them for talking about the fundamentals, but rather, applaud them. My question to you is, what do you define as practical? What is it that you don’t find practical about what they’ve said or done so far? What are they not doing that you expected them to do? It seems like you have something specific in mind. Oh my word. Be a human person. My library has free art workshop days I never go to. I kind of shy away from people, and I see once again how being online can hamper one’s process relationship-wise. Who can trust a faceless fan, much less a faceless artist? TT_TT Small talk is so difficult, add food in there and I’m having anxiety. Am working my way to have more personable internet presence. This was a sobering podcast.